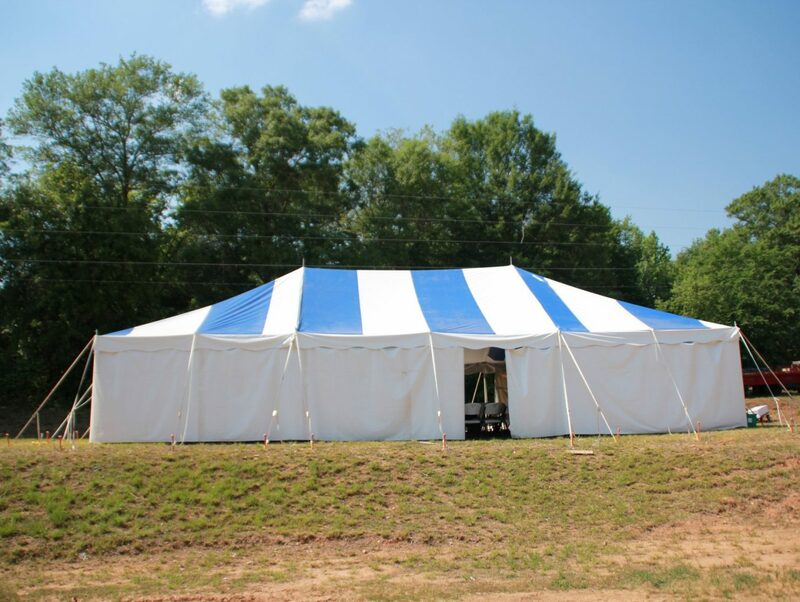 2018 Elberton Georgia Tent Revivals-Will you walk by faith and not sight? Are we going to believe on God, trusting Him for everything, walking by faith and not by sight? God created absolutely everything we needed for life in 6 days. So in 6 days (or less), God can do an extraordinary work in the life of anyone who wants it. May 14th to May 19th, 2018. There is no video from Day 5 of the GA Revival. If you would like to LISTEN to the audio from Day 5 click the SoundCloud link below. There is currently no video from Day 6 of the GA Revival. If you would like to LISTEN to the audio from Day 6 click the SoundCloud link below. Coming just as we are is relying on the Lord and His righteousness, coming any other way is trying to come in our own righteousness, and we have none. It is not the unbeliever’s fault the grace of God is being pulled back. Those who call themselves Christians need to change. In six days God created everything! In six days He can do an extraordinary work in the life of anyone who wants it. It doesn’t even have to take that long. When we get serious with people about what is keeping them from what the Lord has for them, there are going to be some tears, anger, uncomfortable things to deal with. We need to be long suffering and willing to bring the truth so they have the opportunity to receive the truth, receive the Lord, receive all His good things and be set free. Do we live by faith? Are we willing to go into each day and situation not knowing what is to come, trusting the Lord for everything? Elijah was the first person to raise a person from the dead. He walked by faith. He believed in the righteousness of God. Elijah walked in the anointing of the Holy Spirit which was the same power Jesus walked in and it is the same power that is there for us to walk in. Grace covers sin. It is not sin that separates us from God. The children of Israel believed in God but they did not believe on Him. When we believe on Jesus, we believe that which He says, He is also able to perform. The Word of God is true and we can count on Jesus. It is salvation, a lamp unto our feet, it’s everything!! When we become the sons of God, everything the Father has for Jesus is also available to us! Are we going to believe God? Jesus Christ is the same, yesterday, today and forever. He has never changed. God gave Adam one rule, don’t eat of the fruit of the tree of the knowledge of good and evil. The fruit of the tree of the knowledge of good and evil is the law, and the law kills. Adam ate and he died, not immediately, but he was cut off from God. Who does the grace of God flow through? The body of Christ. The community where the church (body of Christ) dwells is dying because the spirit of the Lord is not in most churches today. Without the Spirit of God you cannot serve God. Jesus could do NOTHING of Himself, but the Father did the works. The Holy Spirit is His father. Christians are to do the works of God by the same Holy Spirit. If you don’t have that Holy Spirit, then you don’t have that same Holy Spirit. First thing you need to acknowledge is that you don’t have that baptism of the Holy Spirit. If you receive the fullness of what God has for you, then you can walk in it and the world can change. The testimony of Paul and the Christians he went out with is that they turned the world upside down. Not because they had a bunch of money, but by the power of the Holy Spirit. You don’t need a single law if people will obey the 2 laws that Jesus gave us: Luke 10:27 And he answering said, Thou shalt love the Lord thy God with all thy heart, and with all thy soul, and with all thy strength, and with all thy mind; and thy neighbour as thyself. Brother Steve talked about examples of the amazing things he did around the world before becoming a believer, and how all of those things were worthless (as described in Corinthians 13) and the reason they were worthless is because he didn’t love. How could he love when he didn’t know the one who is love, Jesus Christ? He that abideth in me, and I in him, the same bringeth forth much fruit. The fruit of the spirit is love. You can’t love without Jesus because the fruit of the spirit is love and Jesus is love. When the Word was made flesh, the name of God was given and His name is Jesus. God is 3, Father, Son and Holy Ghost and God’s name is Jesus. When God created man in His image He made man 3: body, soul and spirit (Genesis 1:26), and man’s name was Adam. Whatsoever ye shall ask in my name is a place where you dwell. The church has lost its power because they do not know His ways. God wants us to know His ways and to walk in His ways so we can do likewise. God had not created death prior to the curse. God gave Adam one rule and in that rule He put the seed of something called death. In the day that thou eatest thereof thou shalt surely die. Adam lived 900+ years after that, so what happened? Adam hearkened unto the voice of Eve instead of the voice of God so he tasted the fruit which was the one rule that he was told not to do. When Adam ate, the Sword of the Lord fell and separated the soul from the spirit. The spirit is the life. Adam died when this happened. Soul – makes a decision on which way to go. God the Father washes your soul in the blood of Jesus Christ and your sins are washed away and your soul is born again. Flesh – alienated from God and cannot be reconciled unto God ever. The sin that works in your members (your natural man) is a disaster and you are utterly depraved by nature. The 1st baptism is unto repentance which takes place when you receive Jesus as your Lord and Savior. The 2nd baptism is the baptism of water, which is baptism into the body of Christ, and He translates you out of this present darkness (your flesh) and places your soul into His body (the Body of Christ) because you don’t have a home here, you have a mansion in Heaven. The 3rd baptism is the baptism of the Holy Spirit, which is the baptism of your spirit into His spirit. Jesus baptizes you in the Spirit. This makes you one with God, which is then how John 14:12 comes into play – He SHALL do also. If you believe on God you shall (will) do also and greater works. Because when God sees you, He only sees Jesus because you are in His body. Jesus is the God of the body of Christ, but if Christians aren’t living in the body of Christ then they are alienated from Christ. Life is in Christ and you have to lay down your life to take up His life. To those who believe ON Jesus gave He the power, and those who believe ON Him keep His commandments. If you speak Gods Word, it has the same power to heal, cleanse, deliver as when Jesus spoke it as long as you abide in Him. So many of the ministers in the Church are not Christians themselves. They’re of a different father. Their father is the devil. If you know His Word, His Word will abide in you and you will do the very works of God. Your flesh can not bring forth any good fruit at all, but when you abide in Christ by faith then you cannot bring forth anything other than good fruit. The good tree brings forth good fruit. The evil tree brings forth evil fruit. By their fruits you shall know – does their fruit point heavenward and glorify Jesus? Matthew 7:21 – The only people who call Jesus Lord, Lord are those who call themselves Christians, yet they are the ones claiming to have done the work and do not glorify Jesus. How many Christians do the will of the Father? Will you do the will of the Father? Paul didn’t make himself a minister, the Lord called Paul, a man who was killing Christians. The Lord’s grace is sufficient for our sins, as it was for Paul, who was a murderer. Without the Spirit of God ye can do nothing. Without the Spirit of God ye cannot understand the Word of God. It’s not about the size of the faith, it’s about the type of faith, hence mustard seed faith, a determined persevering faith. We are not righteous in ourselves, we can only be saved by the righteousness of Christ. There’s nothing man-made that is satisfactory to God. Jesus came to save souls, not our flesh. The flesh returns to the dust and our souls will either go to be with Him or go to hell. The Lord wants us to know His ways, we cannot walk in THE way unless we know His ways. We cannot walk in THE truth unless we know THE truth. We cannot walk in THE life if we don’t know His life. There is a limited amount of time to graft a thing back into a living thing to keep it from dying, (such as a rose that has been pruned from the vine) the same is true for our soul when we are cut off from the Spirit. Once we are equipped with all three baptisms we are now equipped to go forth in battle for Christ. Each baptism is performed by a different part of the Godhead. People are moved by people who are doing as they say, not telling others “do as I say not as I do”. God promises not to depart from us, but we have a free will and we can depart from God. We are to be at home in the body of Christ not in our flesh. If we think our flesh is good, we won’t ever want to leave our flesh. We need to trust the Lord for everything and not trust anything else, not even the government. Who do we look to for confirmation if a thing is right, God or man? When we find walking by faith too hard, we turn to religion, the things we can see. When we do that we are departing from the Lord through and evil heart of unbelief. Christ doesn’t confirm the person, He confirms the Word. He is the Word! The denomination we belong to doesn’t matter to God, what matter is if we believe Him. Churches get hung up with numbers. Jesus ministered to 4000 and all except 12 left. Everything goes from a state of perfection to disorder. What we are seeing right now is things getting worse in our communities, this is nature returning to it’s natural state which is disorder. A long time ago in America we accepted the responsibility of our freedom and we were free. That is no longer the case. In this day and age, everyone blames someone else for everything that is wrong. The power of God overcomes the natural law of what should be applying in every single thing. If you don’t have the power of God operating in your life, you can not do any good thing by your nature. Scripture says in Hosea 4:6 “My people are destroyed for lack of knowledge: because thou hast rejected knowledge, I will also reject thee, that thou shalt be no priest to me: seeing thou hast forgotten the law of thy God, I will also forget thy children. If the Church celebrates the most simple things, such as easter, that do not accord with the scripture, is it any shock that the church is divided on something as simple and yet as fundamental as baptism? Genesis 1:28 “And God blessed them, and God said unto them, Be fruitful, and multiply, and replenish the earth, and subdue it:” You don’t replenish something that was not once “plenished” or perfect. Adam and Eve were not the first people on earth. God gave 1 rule to Adam because if by one mans disobedience sin could come into the world, then by one mans obedience sin could be taken out. Satan was not always satan, he was Lucifer and he was one of the anointed angels of God along with Gabriel and Michael. Genesis 1:1-2 may be discussed later this week to discuss more on this subject. The devil is the father of pride. Why does every church have a different doctrine? Pride. The Bible says in Proverbs 13:10 “Only by pride cometh contention”. The government reflects the spirit and nature of the devil: Luke 4:6-7 “And the devil said unto him, All this power will I give thee, and the glory of them: for that is delivered unto me; and to whomsoever I will I give it. 7 If thou therefore wilt worship me, all shall be thine.” This doesn’t mean everyone who works for the government is of the devil, God has people everywhere. In the spiritual realm there are divisions and lines of authority in God’s kingdom and in the ruling of this world. Satan is the ruler of this world. Our God only reigns over those who are His. Those who are not His, are not under His reign because He gave us free will to choose. God does not take your free will away from you. Every single Christian who is a Christian is a part of one of the 7 churches or you’re not a Christian at all. Most of what Church is today is a fig leaf – a bunch of rules and regulations. Proverbs 3:7-8: 7 Be not wise in thine own eyes: fear the LORD, and depart from evil. 8 It shall be health to thy navel, and marrow to thy bones. The fact that Christians and non-Christians alike all die evidences that we are all sinners, because we ALL die. The church is worthless unless it is operating in the kingdom of God and to do so you have to be operating in 3 baptisms. 1st Baptism: When you receive Jesus as your Lord and Savior, God the Father washes your soul in the blood of Jesus Christ and you are born again. Jesus then comes into your life (heart) and He joins your spirit and your soul and your soul is born again and you can begin to see (understand) the Kingdom of God. 2nd Baptism: The reason your soul gets corrupted is because it is tied to your flesh which is evil. With the baptism of water your soul is translated into the body of Jesus Christ. 3rd Baptism: The baptism of the spirit is accomplished through Jesus. He baptizes your spirit into His spirit and you become one with God. Romans 4 – What is righteousness? Are there any righteous? There are NONE righteous, no not one. God has the cloak of righteousness of man and the cloak of God’s righteousness. Jesus gives us the cloak of the righteousness of God and that’s what we walk in to transform the world. We need a people who will rise up and believe God and what He says over what everybody else says no matter what they say. Shew me thy ways o Lord, that is what this revival is about, God is showing us His ways. All we have to do is believe His Word and walk forward by faith in Him and choose to serve Jesus and love God and love our neighbors. Church should be a celebration, when we get together with our family in Christ! The family in Christ has a stronger bond than any natural family. Salvation has always been by faith, both in the Old Testament and the New Testament. The church was the children of Israel in the Old Testament, today those who are Christians are the spiritual children of Israel. How much truth is heard today? We don’t hear a lot of truth anymore. Not everyone calls Jesus Lord, but one day everyone will find out HE IS LORD! In people’s ignorance God has grace. Outside of Christ there is no mercy, when we commit a crime or make mistakes it seems we wear a scarlet letter all our life. In Christ there is abundant mercy! When we’ve experience mercy, we are willing to extend mercy to others. Jesus doesn’t cast us off because of the church you attend, He looks for those who believe Him. If we are in Christ our citizenship is in heaven with God. We are pilgrims on this earth, we are ambassadors for Christ. The worst things we’ve ever done will be used by the Lord to be our greatest testimony. The grace and love of God can take former foes and reconcile a better relationship than they ever had before. The Lord has a huge controversy with the Church, because they are not walking in His ways. There is no truth, mercy or knowledge of God in it. God’s ways are only a mystery if you don’t know them, we are called to know His ways. They should not be a mystery to those who call themselves by His name. He wants us to know Him so we can go tell others about Him. Devils have been being cast out all throughout the word, but people don’t tend to believe they still exist. They do exist, the devil doesn’t give up, he is still here trying to take people’s souls down with him. Was Jesus a doormat? No! He brought the truth no matter who it offended. He is the lion and the lamb. To be a Christian doesn’t mean to be a doormat. Make manifest the Word of God to people by walking out the Lord’s ways where everyone can see. It’s got to be about the Lord, not about us. When people can’t find Christ to fill the void that has been in all of us at one time or another, they will seek whatever they can to fill that void. Jesus was the Israelite’s King before they asked for an earthly king, Jesus was America’s King before we asked for a king as well. We know Jesus is right because of His power. Jesus backs up His Word with power. Jesus was here as a man, He did the works by His father the Holy Spirit. There is nothing we can do to make ourselves clean, we are clean by the Word of God, Jesus! We cannot bear fruit of the spirit unless we abide in Christ. The dead works we do are everything we try to do of ourselves to please God. That is pride, it is only selfish. The only thing that is pleasing to God is to do everything by faith. Enter into His rest putting down the dead works. The Israelites kept the law but didn’t enter in because they didn’t believe God. God wanted each and every one of the Israelites to walk in the power of God like Moses did but they would not. When we try to justify ourselves the Lord departs, He is the justifier not us. We have to digest the Word by faith, and choose faith again and again and again. We have to labor against doubt. Jesus did everything by faith. Hold fast our profession, it is our confession and our job, hold fast because we can lose it. Stand in humility before God knowing the manner of person we are. The Lord wants to equip people who will stand in Him, to show others how to stand in Him also. It’s never been that EVERYBODY has to believe God for something good to happen, otherwise it would never happen. But if we don’t see the body of Christ (aka the Church) being salty and performing one of the tasks of the salt – holding back corruption – then we have nobody to blame but ourselves for the state of the world. When you receive the righteousness of God by faith, you will look at yourself and you will see a sinner. The wages of sin is death, which proves we are all sinners because everybody dies. When you walk in perfection you are walking in THE way, THE truth and THE life, which is Christ. If we misquote the Bible it is no longer THE truth, so we need to make sure we quote accurately. Being in Christ Jesus instead of just knowing of Christ Jesus makes all the difference in the world. Being in Christ Jesus saves you. Knowing of Christ does not save you. Your cursed man (flesh) cannot have fellowship with God. God knew because He gave Adam a free will, Adam would at some point exercise that free will and he would sin. Jesus told us to train up a child in the way that they should go (Proverbs 22:6) because they come out subject to vanity, not because they want it but because of the sin of Adam. When you offer the lamb of God there is no work you have to do because He did it all, but if you try to make your flesh look good (especially as you get older) it’s hard work. One of the doctrines that are in error in the Church is the idea that our body is the temple of the Holy Spirit. This is a lie from the pit of hell. The Bible says the body of Christ is the temple of the Holy Spirit. You can not put the Holy Spirit into your physical body, it cannot contain it. Incorruption cannot have any fellowship with corruption. If you do ANYTHING that is not of faith it is sin. You’re going to find you sin a whole lot more than you ever thought you did. If you don’t live by faith as a child to your parent, parent to your child, wife to your husband, employee to your employer, preacher to the church etc, etc, then you are nothing. A lot of people in the Church do not know that they are sinners. They realize that they make mistakes once in a while, but they aren’t like other people. Brother Steve talked about sisters from South Africa who were alienated from Christ and didn’t even realize it because they were in the Church and had never heard or known THE truth. Love (charity) covers a multitude of sins – 1 Peter 4:8. But where sin abounded, grace did much more abound – Romans 5:20. 1st Baptism – This is the baptism of repentance. God the Father baptizes us into the blood of Jesus. You can then see, as in understand, the Kingdom of God as described in John 3:3. 2nd Baptism – This is the baptism of water. The Holy Spirit baptizes you (translates your soul) into the body of Christ. 3rd Baptism – This is the baptism of the Holy Spirit. Jesus baptizes us into His Spirit and you become one with God. Christians all too often see themselves as loving, and yet they’ve never ministered in the love of God which is so much higher than our love. In the Church do you hear and see THE truth? How many people go to Church and put on a show of how great things are and how well they’re doing but inside they are grieved, in pain, miserable? That is not love, that is not the truth. Faith worketh by love and without the love of God you are nothing. How can you minister to anyone and cross the divide that is all over this country if you do not love as the Lord commanded? When you realize that not everything you learned was wrong, but you don’t know what was right and what was wrong, you can choose to lay everything down and then the Lord is able to start afresh. Exponentially – If you have 11 people tithing to one person he will be sustained and the one head will know all 11 people under him. When your life takes precedence over what the Lord has, that’s not love.